So another candelight vigil comes our way. Artist Ben Quilty and several other prominent Australians are calling on Sydneysiders to gather in Martin Place on Thursday night and shine a light against the growing shadow that will shortly snuff out the lives of Bali nine ringleaders Myuran Sukumaran and Andrew Chan. 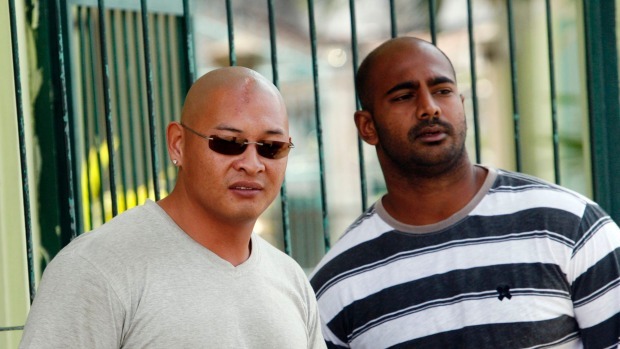 At some point in the next few weeks, Sukumaran and Chan will be taken out at dawn on a small Indonesian island, blindfolded and shot through the heart by a firing squad for their role in an ill-conceived and stupidly executed plot to import eight kilograms of heroin into Australia. There have been many victims of this debacle in the decade since the pair and seven accomplices were arrested in Bali, not long after the Schapelle Corby affair had hit the headlines. But also to label Sukumaran and Chan as victims in this tawdry and drawn-out affair is a mistake. Who cannot empathise with the families of both men? Who wouldn’t be prepared to light a candle for all the suffering they have endured, and will continue to endure in the months and years to come? A mother is about to lose a son, brothers and sisters a loved sibling. They are entitled to mourn their loss for the rest of their lives. Many will never get over it. But light a candle for Sukumaran and Chan? Sorry. If you want to stage a protest against capital punishment, those opposed to state-sanctioned killing should find a new set of poster boys for the cause. There are plenty of worthy candidates lying on thin mattresses in death rows around the world with a better case to argue. Some of them are even innocent. Sukumaran and Chan knew the penalty if they were caught. You cannot arrive anywhere in Indonesia without signs explicitly stating the consequences of importing and exporting drugs on Indonesian soil. It is Indonesian law. You can argue that being young and stupid shouldn’t be cause for the death penalty. You can launch a sound and persuasive attack questioning the place of capital punishment in a modern civilised society. But the Bali nine controversy is equally about sovereign rights and the penalties imposed on those who decide to flout them. If that eight kilograms of heroin had made it back to Australia, had been cut and filtered before being distributed on the streets of Sydney’s suburbs, it would have fetched millions of dollars for the drug ring’s architects. Hundreds, if not thousands, of lives would have been affected. Had they got away with it, would Sukumaran and Chan have gone on to lead simple lives filled with redemption and remorse? Would Sukumaran have discovered a latent gift for painting and devoted the rest of his life to teaching others to express themselves on a blank canvas? Would Chan have surrendered his fortune, found God and spent the rest of his days selflessly extolling the Lord’s word and the benefits of a saintly existence? Or would they, like so many others, have bought themselves a flashy home, driven a flashy car, expunged from their minds the damage their deeds may have caused so many others and gone on to reap the benefits and slap each on the back, still not quite believing they got away with such a ridiculous get-rich-quick scheme? Light a candle for their families, by all means. Light a candle for the loss of two human lives that could have ended so differently. But don’t light a candle for Myuran Sukumaran and Andrew Chan simply because they are about to be put to death by a sovereign nation following its law. They took their chances and they lost. This entry was posted in All Posts, News, Opinions. Bookmark the permalink.